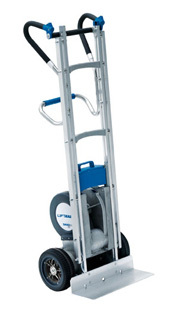 The SAL is a light powered stairclimber at only 30kg, but still capable of carrying a variety of loads up to 170Kg. The 110kg model can climb at up to 48 steps per minute. 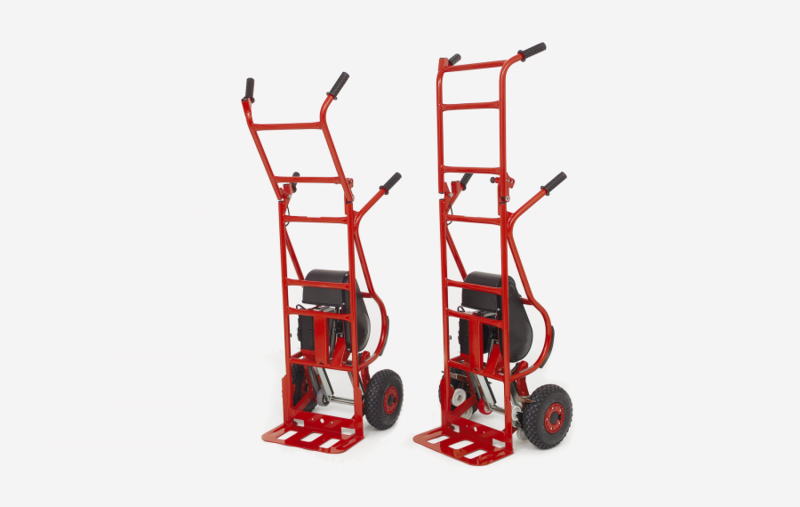 All our stairclimbesrs operate via a removable rechargeable battery and have been designed with some of the loads you move in mind.The stairclimbers are split in to 3 different model groups offering different capacities and features as you move up the range. The SAL comes in 4 handle types and 3 lifting capacity capacities (110/140/170) to offer support on a wide range of load carrying problems. 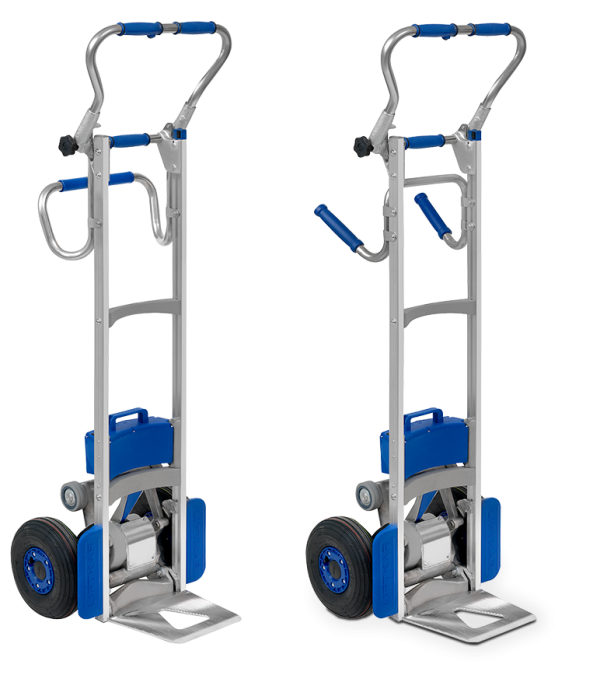 The MTK comes in two models, 190/310 kg lifting capacities, the 310 comes with automatic brakes as standard and the 190 can have these fitted as an optional extra.